At Safford Kia, our Kia dealer serving Richmond, our exceptional service is not only limited to our customer service department, but it fully extends to our auto service department, as well. Our service center is staffed with highly trained, Kia certified technicians and engineers who excel in their departments. Once you leave our lot with your new Kia, our extended offer to aid you does not end there. We welcome all of our valued customers back to service their vehicles as we offer the best prices in the area. Our brand has been engineered to be dependable; however, regularly servicing your vehicle will only lengthen its longevity. A serviced car is a healthy car! We do much more than oil changes at our Richmond area Kia dealer. Though we perform the regular services like oil changes, fluid replacement, tire rotation, and brake inspections, we also tackle the hefty and unexpected. We can complete any task, whether it be replacing engines or axles, we have the hands, equipment, and the parts to fully serve you. Be on the look out for service specials to get the best bang for your buck! So do yourself a favor and visit us at our service center near Richmond to ensure that your Kia is properly tended to regardless of the issue. To schedule an appointment, contact us at (540) 235-5633. When it comes to owning an automobile, service and maintenance are also along for the ride. No one enjoys unplanned maintenance and repairs, but at Safford of Kia Fredericksburg, we make the service process easy for you. At our dealership, we offer a top-notch service department that drivers can take advantage of. Whether you’re in need of simple maintenance or an extensive repair, we’ll have you back on the road in no time at all. Our highly trained technicians in our service department have a long history of providing quality care for a wide range of automobiles. Cars are indeed complex creations, and our specialists have the knowledge needed to give your ride the quality maintenance it deserves. We understand that taking your vehicle to receive maintenance or a repair can be stressful. You’ve invested a lot into your ride, after all. With Safford Kia of Fredericksburg, you can rest easy knowing our specialists have the skills and experience necessary to get your Kia back to ultimate performance on the road. Purchasing a new vehicle is an investment you want to last a long time. Although that new car smell eventually fades, you can keep your vehicle running smoothly and safely with some routine love and care. 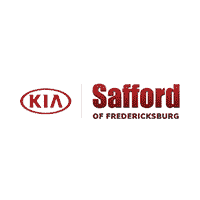 With regular visits to Safford Kia of Fredericksburg, Fredericksburg Kia owners can not only prolong the years their car, truck, or SUV stays on the road, but help protect the resale value. Our fully trained service team is ready for any type of routine maintenance you need for your vehicle. From the shiny exterior to the intricate inner workings, you can trust your vehicle will be properly taken care of at our Kia service center. We recommend drivers stay on top of their model’s specific maintenance schedule to ensure safe and enjoyable driving for years to come. If you have any questions about what service your vehicle may need, feel free to contact our service department. On top of our outstanding service, we provide plenty of discounts for those who use our service department. At our dealership, we don’t believe that routine maintenance should cost an arm and a leg. We don’t believe that repairs should break the bank either. In fact, we have several Kia service specials available for drivers to take advantage of to help cut down on costs. Our specials are always changing, so if you see a deal you’re interested in, be sure to come by and see us soon. If you don’t see a special you can take advantage of, reach out to us. Some of our service coupons and specials may have not been posted yet. As you can see, there are plenty of reasons to choose our dealership for your maintenance and service needs. If you’re in need of service, schedule an appointment with us today. With our online service scheduler, you can choose the date and time that works best for you. We’ll give your Kia the love and care it needs when you bring your ride to our service department, feel free to stop by. We are conveniently located at 5204 Jefferson Davis Hwy, Fredericksburg, VA 22408. Once you arrive, our helpful associates will be more than happy to show you around, fill you in on our specials, and provide quality care for your automobile. We look forward to seeing you soon!